Albeit the fact I consider myself as an ecologist and took various actions to decrease my greenhouse gases emissions, I never really did any calculations of my impact. But the New year’s day brought me an opportunity to have a look at my CO2 emissions as I went to Nancy by train and I avoided the emissions of 76 kilograms of carbon dioxide. I write this to enable you to see how our daily actions are directly link to global warming and how WE can act on an individual level. So, if I had been taking the Yaris I would have emitted 78 kilograms of carbon dioxide. 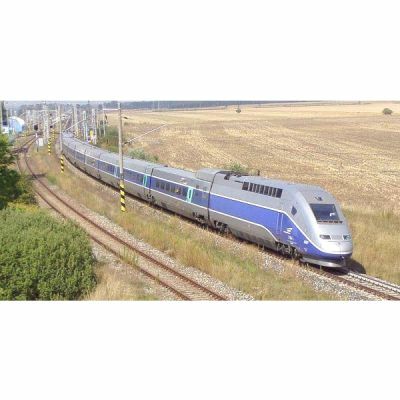 Fast trains in France, like the famous TGV, are powered by electricity. Electricity in this grand country is produced by nearly 80 percent nuclear, 10 percent hydro and 10 percent fossil fuels. So 90 percent is virtually greenhouse gases free. By having a look at www.manicore.com, Jean-Marc Jancovici’s website, trains emits 35 times less CO2 than small cars. So my 600 kms by TGV emitted only two kilograms. So I avoided the emissions of 78 – 2 = 76 kilograms of carbon dioxide in only two days. I find this calculation interesting as it shows a direct correlation between daily actions and greenhouse gases emissions and thus climate change. As oil prices are going up and up, alternatives to oil hungry solutions like cars and planes will have to be developed. Trains are one. I will probably write a further article on TGV and how they can compete with planes for transportation for middle distances, so stay tuned !